This is the next installment of a multi-part posting discussing the considerations and use of an infographic resume as a tool in your job search. Let’s continue by discussing some additional considerations of using an infographic resume in your job search. It must look great! Not just good, but great! If you pursue this differentiation tactic, the final product must have a “wow” factor…a “holy cow this is really cool” factor. Otherwise, it will not have the persuasive and differentiating effect you are looking for. It is highly recommended that, should you pursue this job search tactic, you hire a professional to create it. Creating the document on your own can take countless hours. Time better spent pursuing other job search activities – networking, marketing your professional credentials, and so on. A few final thoughts. One interesting concept you could explore is creating an infographic section to your traditional resume. This would be a form of a showcase resume using color and graphics as your showcase section. Then, traditional resume information would follow. If you create an infographic resume, get it out there! Use it! One easy thing to do is attach it to your LinkedIn profile. Obviously you want to have it and hand it out during networking events and as a supplement to interviews. 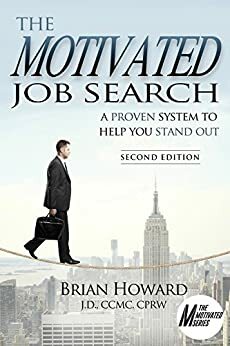 Since you put in the time, effort, thought, and money into this tactic, look for ways to leverage it in your job search activities. Caution. Creating an infographic resume can be a distraction. Its creation can easily become busy-work that distracts you from the real tasks of moving your job search forward. Be aware of your time and use it wisely. An Infographic resume is a differentiator, but it will not by itself get you a job.